Uzma Samadani, MD, PhD, is a neurosurgeon and the Rockswold Kaplan Endowed Chair for Traumatic Brain Injury in the Department of Neurosurgery at HCMC. She is an internationally recognized neurosurgeon, having been principal investigator on studies related to brain injury and hemorrhage. 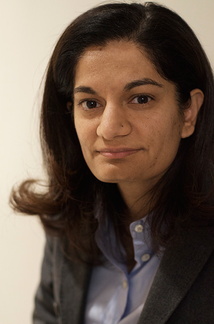 Dr. Samadani has patented several inventions, winning the NYU Venture Technology Competition Grand Prize, Innovate HealthTech NYC Prize and speaking at TedMed. Samadani’s clinical work focuses on cranial neurosurgery and her research is dedicated to the diagnosis, classification and treatment of traumatic brain injury. Samadani conducts her research in hopes of changing the way brain injuries are diagnosed and defined. She is currently researching: Cerebral Atrophy, Anticoagulants and the Risk for Chronic Subdural Hematoma Treatment of Traumatic Brain Injury Development of a Multi-Modality Classification Scheme for Traumatic Brain Injury. Read Dr. Samandi's full biography.